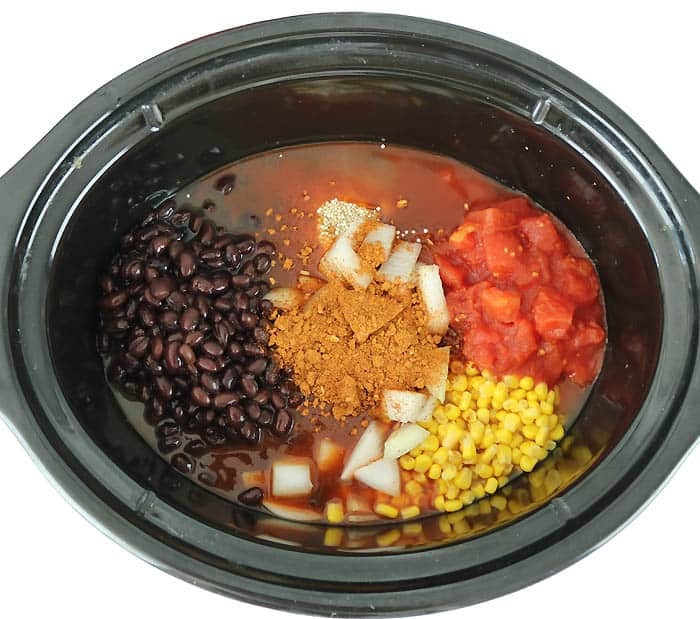 The weather is cooling off and that means it’s time to break out the Crock Pot! There’s nothing easier and more satisfying than pouring some ingredients into a slow cooker and having a delicious meal a few hours later! 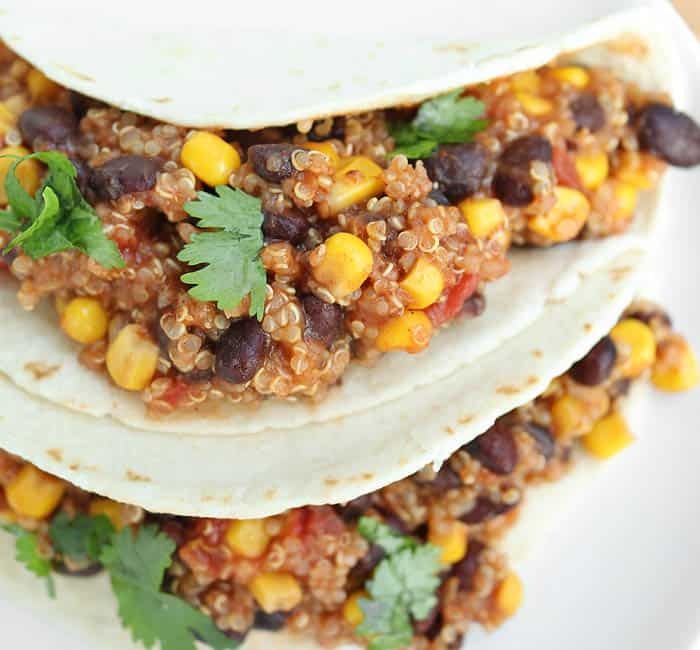 These Vegan Crock Pot Quinoa Black Bean Tacos are healthy and hearty. They only take a few hours to cook and you only need a handful of ingredients. I’ve included both the recipe card and a video. Cheers to good health! 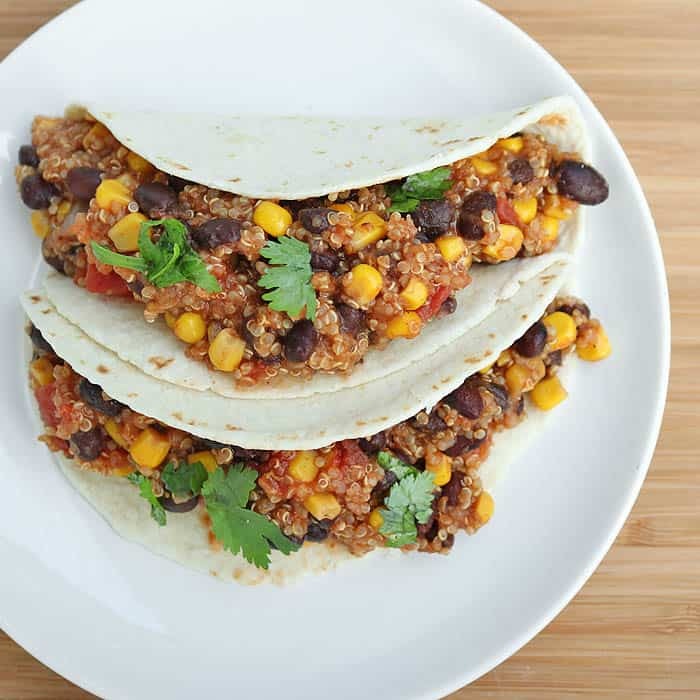 Want more healthy, Vegan recipes? 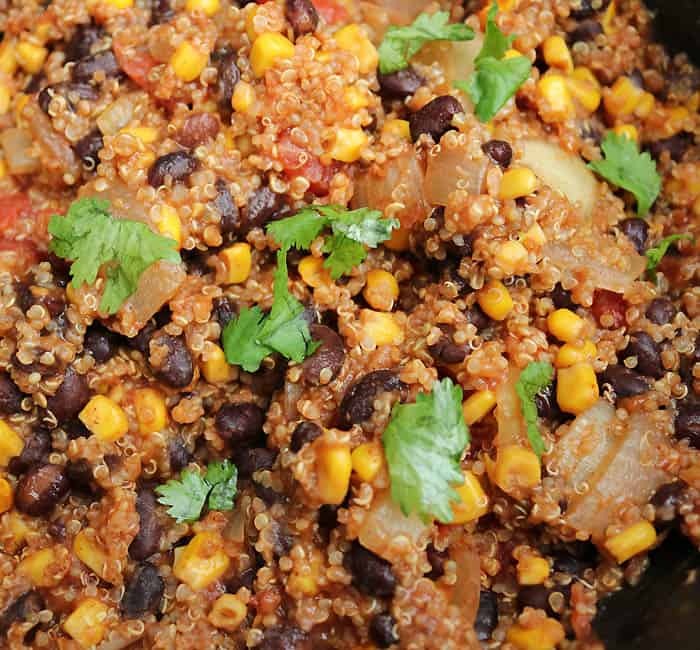 Pour ingredients into slow cooker and stir. Cook for 2 1/2 hours on low.